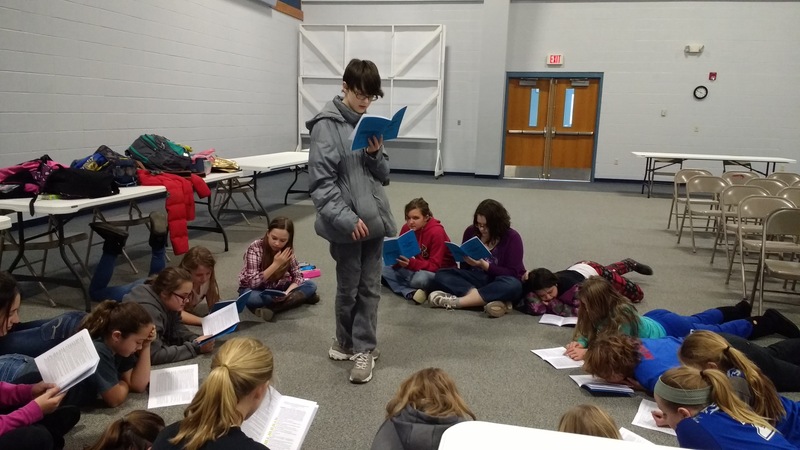 Junior high students and a few sixth graders held their first rehearsal tonight after school. Opening night is February 24th at 7 pm. It is going to be a funny production about some of our favorite fairy tale characters.